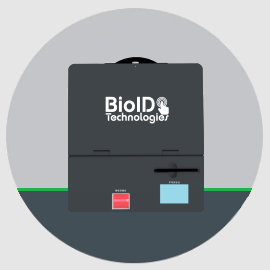 The BioKiosk™ is a patent protected all-in-one mobile enrollment kit which combines 17″ laptop, fingerprint scanner, signature pad, barcode reader, web camera, ID card reader and other component parts. There is no any removable parts from the Kiosk to ensure the stability and performance in the process of registration. The BioKiosk™ can be customized as per customer’s needs, to remove or integrate new items. The BioKiosk™ is absolutely your logical choice for all your criminal bookings and civil related biometric enrollment applications. Contact us for more information. The BioKit™ is a rugged and mobile enrollment kit which is ideal choice for voter registration and other e-ID enrollment programs. 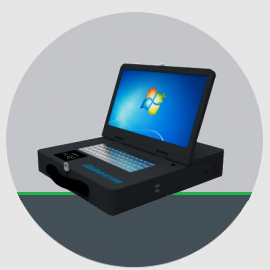 The BioKit™ is configured with laptop,two finger slap scanner, signature pad, web camera, barcode reader, thermal printer, ID card reader, built-in batteries, etc. No more removable components that ensure the operator has a comfortable operation during applicant enrollment. Contact us for more information. The BioMatch™ is designed to rapidly authenticate the identity of an individual by using their demographic and biometric data. 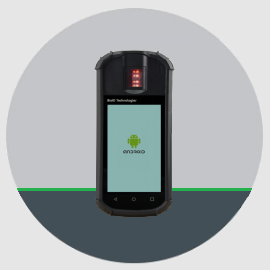 The BioMatch™ delivers the highest degree of speed and accuracy for mobile fingerprint capture to ensure the best image quality required in the process of 1:1 verification or 1:N identification. Designed for the public safety applications in the field, the BioMatch™ is absolutely your logical choice for civil or criminal identification such as law enforcement, ID enrollment and verification. Contact us for more information. 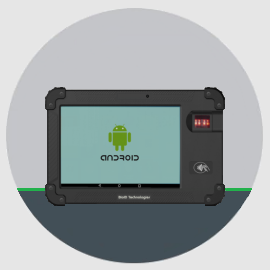 The BioTablet™ is an Android based multi-biometric device FBI EBTS Appendix F Mobile ID certified, which is designed to rapidly authenticate the identity of an individual by using their demographic and biometric data. The BioTablet™ delivers the highest degree of speed and accuracy for mobile fingerprint capture to ensure the best image quality required in the process of 1:1 verification or 1:N identification. Designed for the public safety applications in the field, the BioTablet™ is absolutely your logical choice for both civil and criminal identification. Contact us for more information.